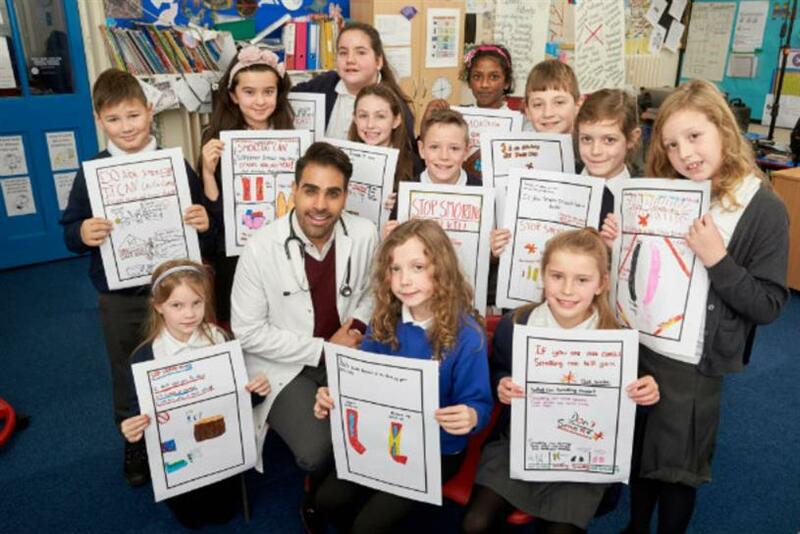 A campaign launched today by Public Health England centres around NHS doctor and kids TV star Dr Ranj Singh working with children to encourage adults to stop smoking. Smokefree Health Harms launches today through a PR push across various media, and Facebook content. 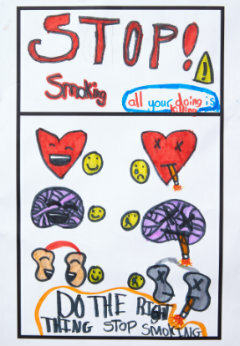 The Facebook video content features Dr Singh working with primary school children to create images about the damage that smoking does to the heart and arteries. These images are in the form of cigarette packets (below). Smokefree Health Harms launches as new rules come into force at the start of 2017 meaning that all cigarettes sold in the UK will be in unbranded standard packs that feature graphic image health warnings. Dr Singh said: "We know that many people quit smoking for their family, and this film shows just how passionately children want to protect the health of smokers and want to help them quit." PHE's campaign focuses on the fact that smoking increases the risk of heart disease by 24%, and doubles the risk of a heart attack or stroke, as well as highlighting that 45 people a day die of cardiovascular disease. The campaign will direct people to support including an app, email, text and help in person from local stop smoking services. As with other recent PHE campaigns, such as the One You diabetes and healthy living campaign launched on Monday. Creative agencies involved are M&C Saatchi, Ogilvy & Mather and 23red, with MEC handling media and Freud Communications for PR. Visceral ads showing the impact of smoking on the body will continue to be shown in areas where there are higher rates of smoking. A version of this story was first published on PRWeek.